What happened with Whole Foods? Right now, many business owners and HR professionals are asking the same question: What happened to Whole Foods, and how does it affect me? On Feb. 7, Whole Foods was sued in a class-action lawsuit that alleged their hiring practices violated the Fair Credit Reporting Act. 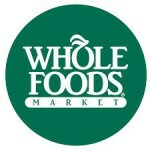 “According to the suit, Whole Foods obtained thousands of consumer reports without having obtained facially valid FCRA authorization forms and failed to meet FCRA requirements that authorizations be pristine documents and contain nothing other than the required disclosures and the requested authorization.” (The specifics of the suit were taken from openonline.com.) The suit requests that Whole Foods pay each party in the suit $1,000—and this includes every person who used the online authorization forms from January of 2009 to the present. This suit is the latest in a run of corporate lawsuits for FCRA violations, including K-mart, Swift Transportation, and Walt Disney. This lawsuit came only a month before the release of two documents that were jointly published by the EEOC and the FCRA: Background Checks: What Employers Need to Know and Background Checks: What Job Applicants and Employees Need to Know. Here is the text from the Whole Food release form that was signed by the applicants in the case. As with any vendor, you cannot place blind trust in your background screening provider or ATS. In this particular case, the authorization form used online was different from the one used in the interview, which is a common problem with ATS vendors. 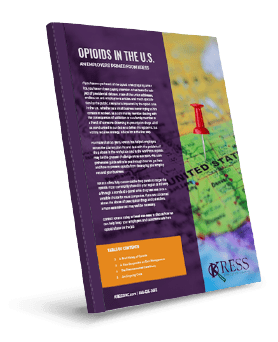 In the last year, recent cases of flushing or dumping and this recent rash of lawsuits reinforces the need for you to better understand the process and for your screening provider and ATS to work with you as a trusted partner and adviser, rather than simply a vendor. The candidate must complete a legally compliant disclosure and authorization form before an employment screening of any kind is conducted. The disclosure and authorization form should be accompanied by the Summary of Your Rights—we recommend including this document with the disclosure and authorization form. KRESS can help because our form is perfectly legal and always has the Summary of Your Rights attached to the release form. Email us for your copy of the KRESS release form. If there is adverse information on the background check, and you use that information, even in part, to eliminate a candidate from the selection process, you are required to follow adverse action procedures—and KRESS can help by processing the adverse action letters for you. If a candidate asks for a copy of their report, the employer is now legally required to provide it directly, instead of just referring the candidate to the background screening firm—and KRESS can help because all of your reports are retrievable online or by simply calling us. Background check information must be stored separately from the employee’s personnel file and must be available for verification by a government official after three days’ notice—and KRESS can help because we keep your background checks for a minimum of seven years.